Xeroom integrates the WooCommerce WordPress plugin with the Xero online accounts application to create a seamless e-commerce system. The Xeroom plugin will send all the customer order data generated in WooCommerce to Xero and create new products if they don’t already exist. It will create new invoices either as draft, approved (to enable further editing or review) or paid. It will post the line items and information to the correct sales, COGS, tax and inventory accounts. The prices, taxes, discounts, coupons, product code, description, inventory, reference, customer details and payment information are transferred and taken care of by Xeroom giving far more functionality than currently exists on other similar plugins. It can also update the inventory, product price and description in WooCommerce from Xero or the other way around. Full management of the synch process and parameters is provided to make it really useful. Synch can take place on checkout or manually with multiple orders being processed in one go. Sales of different products and different geographies can be posted to different Xero accounts to provide useful analysis. Different payment methods can be posted to different bank accounts as can shipping revenues and COGS. Once installed this plugin needs two keys from the Xero API to activate it which can be obtained from your login to Xero. The user needs to register on Xero and create an application in order to get a private consumer key and a secret key. These keys must them be copied into the Xeroom settings page and saved to authenticate and activate the plugin which is then ready to use. Xeroom links the two most popular systems for e-commerce and accounting – WooCommerce and Xero – enabling them to be seamlessly integrated. This delivers incredible power to your IT systems as never before as it brings you the missing piece to give you the best of both Worlds. As the market leaders in e-commerce and online accounting both these brands will only get stronger and increase market share over time. This means that they will continue to enhance their offerings consolidating their market positions even more. Compare what our plugin does with the competitive offerings and then look at just how low our prices are. We understand that small businesses run on tight margins, don’t have big departments available and have very little time available so need quick tried and tested off-the-shelf solutions. We have therefore designed our offerings to give great value and save time and money both now, in setting up things properly to run smoothly and efficiently but also in the future. That’s why we don’t charge crazy expensive and overpriced high monthly fees like our competitors do of $50/month or even $250/month. Our annual licence is just $97 including support and updates which is less than what most accountants charge in an hour! A dedicated WooCommerce to Xero two-way integration link for synchronising data. Synchronise order invoices, payments, inventory, customer details (names and addresses), new products, new descriptions, sale items, coupons, discounts, references, VAT/sales taxes from Woocommerce to Xero. Instant or Batched – Data can be synchronised immediately or deferred and processed in batches. True seamless integration of WooCommerce with Xero not just a flat memo cut-and-paste. All data from WooCommerce is posted into the correct accounts in Xero and so is available for further use and audit. Two-way inventory check for a product when ordered. Full product inventory synchronizations from Woo-Xero or Xero-Woo on an immediate or timed schedule. Invoices can be created in Xero as Draft or Approved status. They can also be created as Paid invoices once the payment has been made. Auto or manual completion option to automatically post payments to create a Paid invoice or conversely to prevent such an action. Cancelled orders in Woocommerce can automatically generate credit notes in Xero. Revenues can be automatically posted to separate breakout accounts by geography or product category enabling great sales analysis in Xero. Comprehensive GST/VAT mapping features giving full flexibility about treatment by geography, product type and tax class. Product prices can be posted as sales tax inclusive or exclusive from WooCommerce. If a product code doesn’t exist in Xero it will create one using the SKU or if no SKU exists then with the product ID. Posting of payments by different gateways to separate Xero bank accounts. 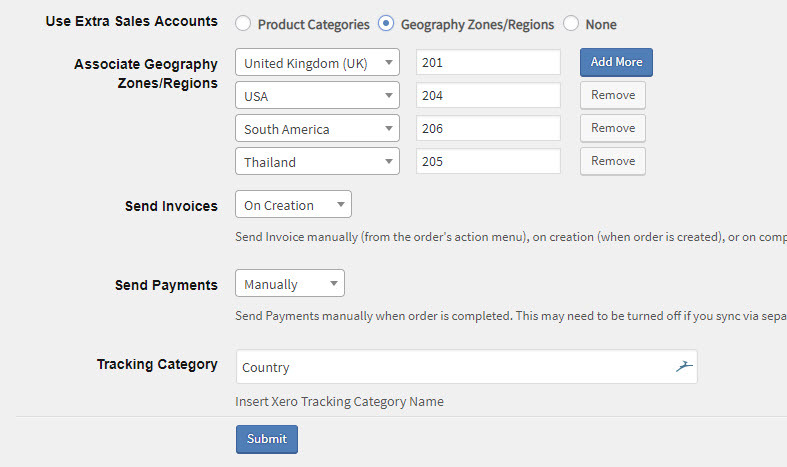 Manually select orders from the Woocommerce order screen for batch posting to Xero – see image below. Visual management of the Xero invoice status from the Woocommerce order screen – see image below. Secure encrypted communications using dedicated Xero API keys – with traffic light connection status. Bulk data loader for historic invoices – perfect if you want to bring your past orders and data into Xero. EC VAT reporting for digital goods – country labels can be invoked and invoices posted using them. Choice of Woocommerce or Xero to be master for product prices and info. Save hours of time re-entering data from Woocommerce into Xero. A tried-and-tested accounting solution developed for small businesses by experienced accountants. Coded by one of the World’s top WordPress plugin development teams to the latest security and other standards. Six years of development of useful powerful features as driven by our customers’ practical needs and feedback. Keep “one version of the truth” and no conflicting accounting information. Avoid errors in transcribing data. No expensive monthly subscriptions, just one simple low annual fee. Unlimited transactions – With no annoying limits. Free trial available for 1-2 months for evaluation purposes. Multiple WordPress websites can flow to one Xero instance/subscription with one Xeroom licence with sales broken out by different account codes. Installation and other Xero services available to provide a complete and quick solution to all your Xero accounting needs. Xeroom offers a great value, proven intelligent integration that will pay for itself within weeks. Our vision for Xeroom is to develop it and make it richer in features and more comprehensive in scope until it makes Xero and Woocommerce feel like one stable seamless application. We aim to do two major releases per year, each of which represents a substantial investment of time and money. Global Inventory Synchronization – Instead of just synchronizing the inventory for the SKUs being ordered this will provide a synch of all products’ inventories on demand or on a daily or hourly schedule. Synch can be from Woo to Xero or vice-versa. This will be invaluable for businesses that take phone orders that are entered directly into Xero (without going through the website) as well as normal website orders. This also caters for the back-order condition in Woocommerce. Send orders and payments in batches – Instead of sending orders automatically at check-out this feature enables a selection of orders to be made on the Woocommerce order summary screen which are then sent to Xero in one go. This is great for those taking feeds of orders from other systems into Woo that then need to be onward processed into Xero. It is also useful for migrations where use of the Bulk Data Loader would be overkill and a few dozen orders can be simply and easily posted. Invoice creation trigger – Invoices can be sent manually or automatically on checkout or on completion. This is an alternative to the Auto completion control which is useful for preventing payments being posted automatically which makes the Xero invoice status “Paid” and thus editable. Set Invoice Creation Date – Can be date of posting or date of order. 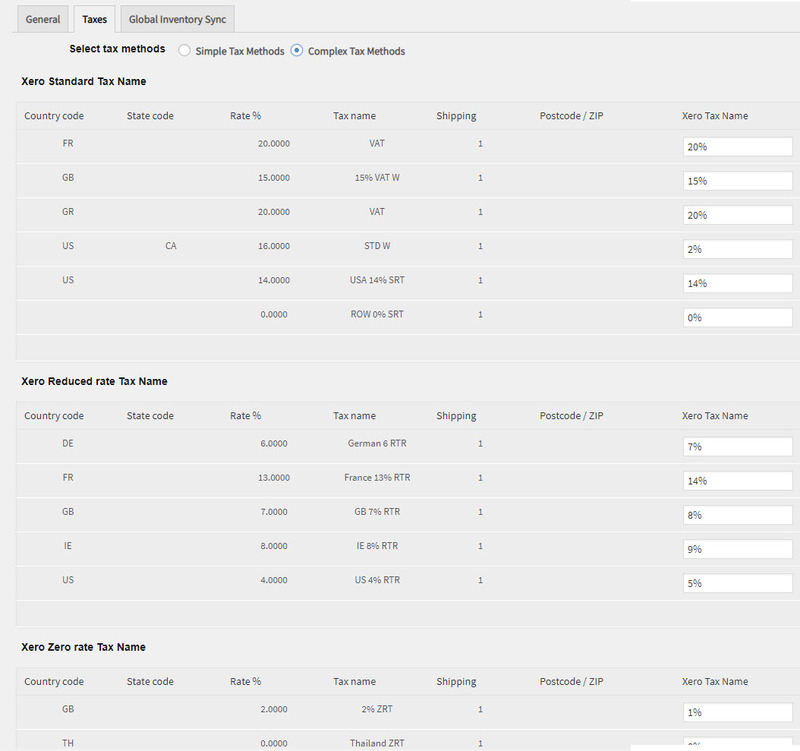 Country tracking – The customer country is placed in the Xero custom country tracking label. This can then be used for things like EU VAT reporting where different VAT rates are due for different countries. 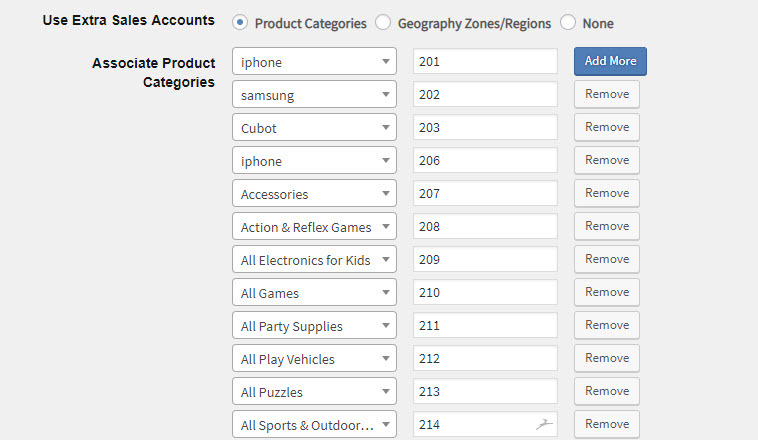 Custom no of sales categories – The posting by geography or product category can be increased from 25 to an unlimited no. Bulk data loader limit of 2000 removed. Gross prices held in Woo no tax applied – Xero assumes prices are posted as net and so adds on GST which means it is added twice if prices are held gross in Woo. This will fix it to remove the GST before posting so that it will be correct. No taxes fix – when no taxes are selected in Woo then Xero should not add on taxes on posting. Cancelled orders at the checkout were wrongly being sent to Xero. Rounding errors – will be placed in a Xero revenue ac. Free trial licence changed – Button will send a request for a trial licence key to be emailed to the user. Ability to post different checkout payment methods to different bank accounts in Xero. Enforced use of TLS v1.2 for communications security. Rounding errors to assist in Xero reconciliations. Support for WooCommerce Wholesale Prices plugin. Increase in the no of catalogue values or geographies that sales can be broken out by, to 25. Latest Xeroom Developments – Cont. Ability to post sales into separate product category accounts in Xero. Ability to create invoices as draft status in Xero. Ability to post shipping revenues/charges to a separate sales account in Xero. Ability to generate credit notes for cancelled orders. Ability to repost payments for any failed orders. 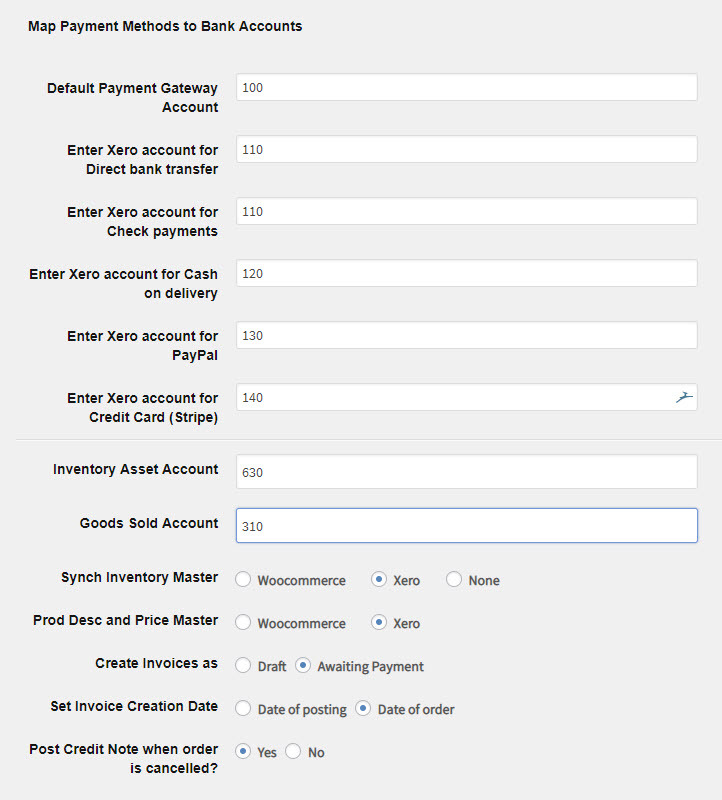 Ability to post orders and payments from the WooCommerce admin screen back-end. Notes added to the order when posted to Xero or order cancellations and credit notes made. Increased security of code to new WP standards. Encrypted code using the industry standard ioncube for greater security. Xeroom v1.6 BDL – This was released in November 2017 as a separate version which comes with a Bulk Data Loader (BDL) module. This powerful tool enables an unlimited number of historic orders to be posted to Xero in one go which makes it ideal for customers who are migrating to Xero and want to bring their history with them for the current financial year. 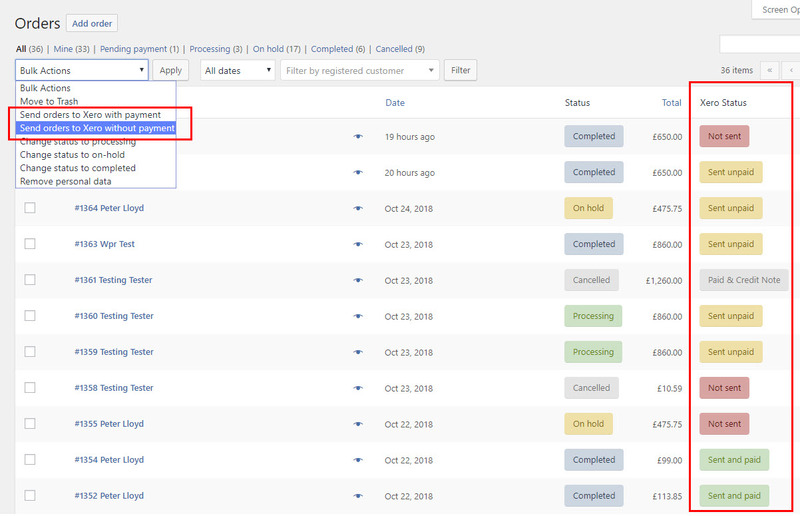 You can post all orders or a selection and also choose whether to post each one as a Paid or Unpaid invoice. See here for full details. The BDL version is now bundled into the main version of Xeroom for free for a limited time period. Email Xero invoices directly from WooCommerce direct to customers. Multi-currency – depending on demand which has been very small so far (Sept 18) so please email me if you would be interested in this. Integration with other WooCommerce plugins – We currently support the WooCommerce Wholesale plugin but will add a feature to post retail and wholesale sales to different Xero accounts. Simplify the installation process by creating a mediation platform to post all the calls to the Xero API from one connection. Download the latest version of the plugin from the top of the Support page from the menu above. For full installation instructions please navigate to the menu item above. The process appears quite convoluted to a newcomer due to the way Xero works in setting up security credentials – if you follow the step-by-step guide it is not difficult. We have made it as simple as possible. If you are not familiar, patient or confident with the installation, setup, configuration and testing process then please purchase this service from us. Over the last 6 years we have invested a substantial amount of time and money in developing Xeroom to make it the most functionally rich integration available of Woocommece with Xero. We are making available for the low cost of $97 for an annual licence including support and updates ie less than one hour of an accountant’s time. We can also do the installation, configuration, testing and other Xero related services starting at $97 for an installation. Note: You will need a competent IT person with some knowledge of Xero to do the installation, setup and testing especially if you are going directly onto a live system. Do I Need a Xero Application? As part of the installation you will need to create a Xero application on your Xero admin page. 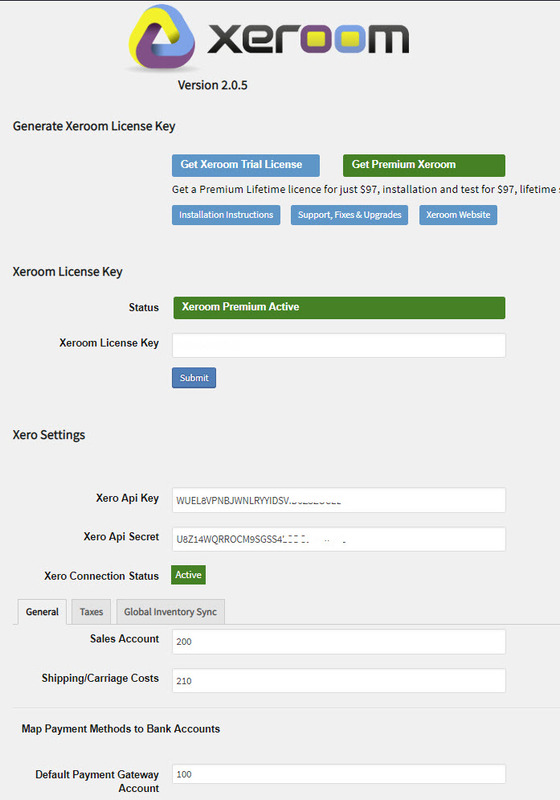 This is essential to provide the required secure access to your Xero instance, namely the API consumer key and api consumer keys without which the xeroom plugin cannot work. These keys enables secure and correct communications to take place between your on-line Xero account and your WordPress WooCommerce site. The Xeroom engine manages these API calls to Xero to ensure that they do not exceed Xero’s transaction speed limits. We offer overall better value for money in terms of cost and functionality. The functionality of Xeroom far exceeds that of similar plugins some of whom have tried to copy what we have done. Many of them just do a flat csv file import with little or no management of the invoice creation process in Xero, no useful settings or respect for the accounting process and requirements needed to get the most our of Xero. Also managing batches of invoices or uploading from historic or external e-commerce feeder systems can be easily handled by Xeroom which sits comfortably in the WooCommerce eco-system. Just take a look at our long list of features and compare those to what our competitors offer. If you want a simple approach to start with then many of these can be set at defaults but they provide the ability to expand in the long-term as you learn to get the most from Xero. We are also much cheaper than most of the other plugins. We have no transaction quotas plus we also provide installation and other useful Xero related services. Our knowledgeable staff can get you up and running into fully productive state saving you money much faster. Xeroom is our only product so we have a very strong interest in making it a success. To that end we continue to invest a lot of money and time year-in year-out in extending and enhancing Xeroom and fixing bugs to make it the best woocommerce-xero accounts integration available. We provide 2 major releases a year. This is something that neither Xero, WooCommerce or our other competitors do. With Xeroom you will stay up-to-date and make the most of the latest enhancements from Xero as we release powerful new features. Don’t get left behind with a stone-age overpriced xero “integration”! Xeroom was developed over 6 years by accountants for accountants, unlike the many half-baked competing apps that have little accounting thought put into them. With the new developments we aim to become the only WooCommerce Xero certified integration application. We are not just blindly dumping a flat invoice across into Xero. What Xeroom does is to properly integrating the two systems so that Xero will process and post the data correctly and usefully from an accounting point of view. eg the sales and shipping revenues are posted by product or geography to the correct sales accounts, payments to the correct bank accounts and sales taxes to the correct tax accounts whether standard, reduced or zero rate. We are provide flexibility about how this is done. 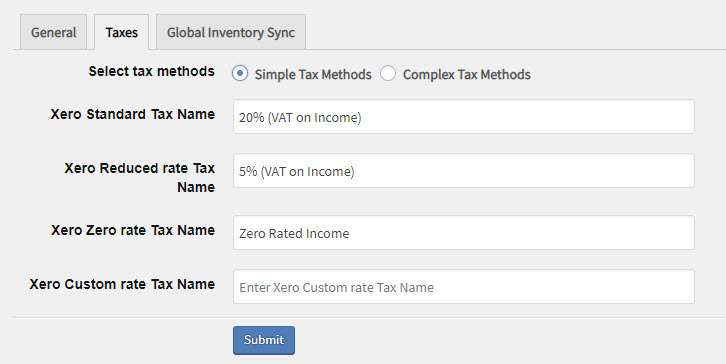 Xeroom will generate new inventory line items in Xero if they don’t exist from the data in WooCommerce and provide two-way synchronisation of tracked inventory amounts. It will also synchronise inventory for all products and SKUs between the 2 systems on an hourly basis. Bringing together 3 rapidly changing complex applications is no small feat – WordPress, WooCommerce and Xero. To achieve this Xeroom is coded by one of the World’s top WordPress plugin development teams who have experience in also developing accounting applications. They are ranked as some of the top professionals who have developed hundreds of plugins to the latest development and security standards. The code is developed using the latest methodologies and tested according to the Oracle development framework. Any enhancements are also tested on a number of live beta-sites before being released. Xeroom is our business so we are focused on investing all our efforts and a lot of money into enhancing it and making it the best Woo-Xero integration plugin on the market – Nobody else is doing that! Preparing For Your Xeroom Integration? You can take out a Xero trial subscription for one month for free. Beware that at the end of it you will not be able to access your data unless you subscribe. Set up Xero to reflect how you want to run and manage your business. You will need your accountant or bookkeeper to ensure that you have a sensible chart-of-accounts and also to guide you on what sales and other reporting is best. Set up your sales taxes, payment accounts and control accounts as you would for any accounting system. Finally ensure that all your products are uploaded including the cost of the ones you wish to track and manage the inventory of. In your website make sure that WooCommerce is installed and configured correctly and also that your products are created. You can upload the same list to both systems. Download and install the plugin from the relevant page on this site and follow the installation instructions above. Then email us for a free trial activation key. If you want us to install it for you then purchase the service from shop on the menu above and we will email you for the full details that we need. Below is an example of some of the settings available to you. If you don’t understand them then please seek input from your accountant or bookkeeper. What version of WooCommerce does Xeroom work on? Xeroom is running live on a number of my own commercial sites and so it always kept up-to-date with the latest versions of both WooCommerce and WordPress. Check the installation page for the latest release version numbers. What does Xeroom Not Do? Replication – Our aim is to provide a rich link between WooCommerce and Xero. We are not seeking to recreate any of the WooCommerce functionality in Xero or vice versa. The “one version of the truth” should be in Xero as that is a serious accounting system with full audit trails which WooCommerce is not. We don’t believe that to for example try and copy, back flush and reconcile things like customer payments from Xero back to WooCommerce makes any sense. That would be to have “two versions of the truth” and would take up a lot of resources to manage and maintain for very limited benefit and a risky result. We see WooCommerce as one source of orders/data that flows into the Xero accounting system but which also receives orders from other sources such as telephone orders or retail physical stores. Multi-site Version of WordPress – Xeroom doesn’t work for this. You can however connect multiple separate wordpress sites to one instance of Xero by using the same credentials so again Xero can act as your receptacle for orders from multiple sources. You can also map the sales from each site to a different account in Xero so that you get sales reporting broken out by business. Multi-currency – Xeroom doesn’t support this version of Xero but is planned for 2019 depending on demand. For further info on planned enhancements and release dates go here. Xeroom was developed by a small team of well respected WooCommerce plugin developers, accountants and bookkeepers all of whom have been using Xero commercially for many years. The team has a number of chartered accountants and bookkeepers and over 60 years experience in developing and implementing mainstream accounting applications such as Oracle Enterprise Financial Apps, Sage (including SageLine 50) and now Xero. We have been using Xero for over 10 years and were one of the first users in the UK . We have also contributed to some of the core functionality of Xero. We are looking to add implementation partners such as chartered accountants or WooCommerce IT specialists who know Woocommerce and Xero – please get in touch if you are interested. Xeroom started life 9 years ago as a link between the CubeCart ecommerce platform and Xero for a number of retail websites. It was rewritten 5 years ago not long after WooCommerce was released since nothing else existed at the time that could do this. It gradually continued to develop and we started to market it in 2016. WooCommerce has since released its own copycat version as have others but we have stayed firmly ahead of them and will continue to do so due to the expertise required to develop this type of app. At the start of 2018 we engaged a leading team of WordPress developers who have handled the large amount of complex new functionality that we added in 2018 especially the extensive sales tax and full inventory synchronisation features. We are focused on and dedicated to WooCommerce that now has over 40 million commercial sites as well as to Xero, which we see as dominating the online SAAS market and now has 1 1/2 million users Worldwide. We don’t touch other accounting apps or ecommerce systems as we believe that this combination is the “best-of-breed” which will dominate the market in the long run due to its popularity. Our future vision for Xeroom is to work with Xero to extend its functionality into new areas not currently addressed such as business intelligence thus adding even more value for our customers’ benefit.